Sometimes you just want to order out for dinner. Nothing will do but Chinese takeout. I often feel that way, but try to be judicious in my ordering out expenses and will happily cook instead if I can. Tuesday night found me with a thawed chicken thigh, a frozen bag of mixed veggies and rice. 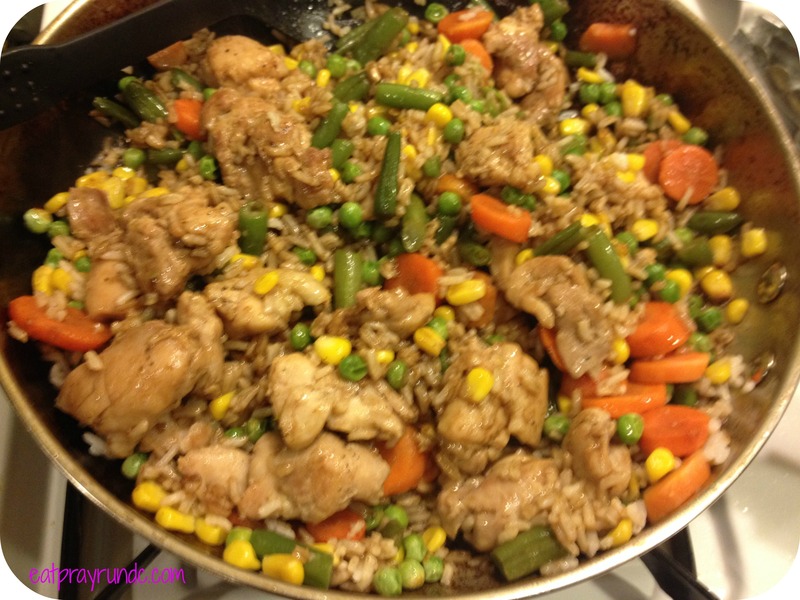 I decided to throw all that together for a healthier version of chicken fried rice. Like most of my recipes, this one is pretty simple and shouldn’t take you more than 30 minutes from start to finish. First, cook your rice. 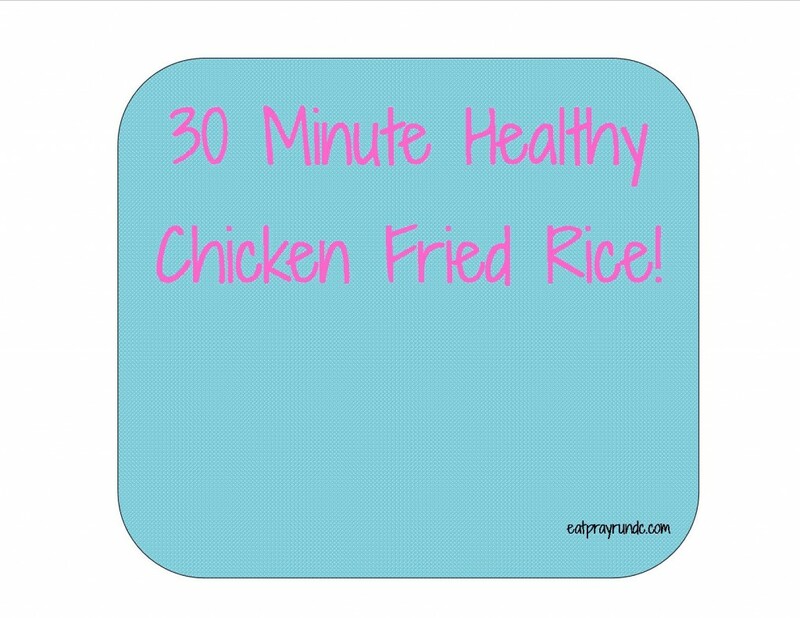 I use minute rice, so this process only takes about ten minutes. While your rice is cooking, chop and season your chicken with salt and pepper. Cook your chicken on the stove top until it’s fully cooked. If you chopped it into bite sized pieces, this should only take about 5 minutes, max. Remove the chicken from the pan and cook your mixed veggies until they are done. Add everything back in! Pop in your chicken, your rice and a healthy splash of low sodium soy sauce. Reduce the heat, and let everything simmer for a few minutes. DONE! Enjoy your homemade chicken fried rice! Note there is no egg in this recipe. That’s because I hate eggs. But lots of people don’t, so if you are one of them, you should add egg! Mar @ Mar on the Run! recently posted…CorePower Yoga: The Heat is On! I might just be making that for dinner tonight! Don’t you love it when a meal comes together super fast and it’s good for you too? I bet the take-out would have taken longer to get to the house then it took you to put this together. Oh I’m an egg girl, we buy them in the 2 1/2 packs from Costco at least once a week. I have so many super quick meals that I used when I was working but my favorite quick go-to meal is a Fritatta with 6 eggs, feta cheese and what ever is hanging around in the fridge. 10 minutes to bang together, 15-20 minutes in the oven and served up with a salad. Anita — so true! It was definitely faster than ordering in! Love meals like this! I want! I want! I want!